Very few foods speak to the soul as much as chicken à la deep fat fryer. You can get it on virtually every high street in London, but who does it best? Let’s bring in the contenders. 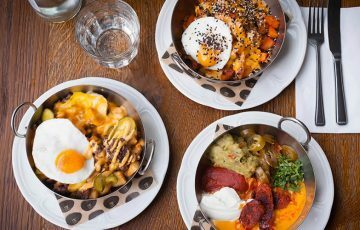 A long-time favourite among Broadway Market-goers, Butchies’ permanent site in Shoreditch means Londoners get a better share of the good stuff. Try the Calvin Wagstaff –free range buttermilk fried chicken, Red Leicester cheese dripping, pickles and sriracha, sandwiched between two butter-toasted buns. Few poultry-slingers can boast a cleaner moral record than this Haggerston lot. With a branch in Seven Dials too, Chick n’ Sours have introduced the city to fast food via the Slow Food movement. Don’t miss the K-POP burger and their kung pao disco wings. 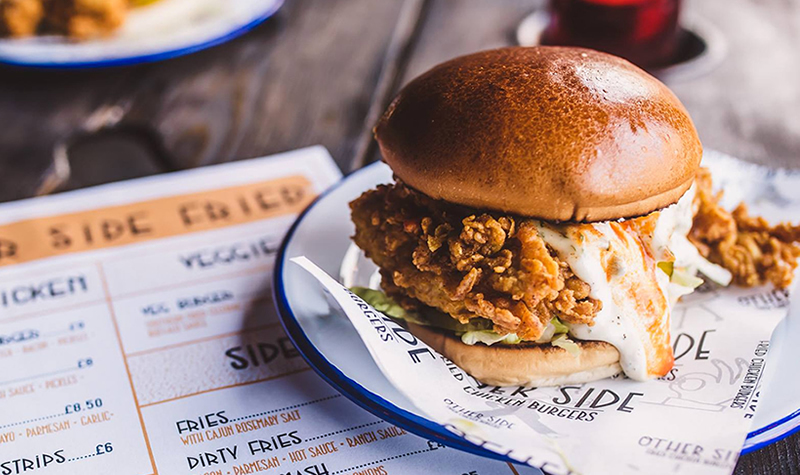 Other Side Fried are mounting a serious case for London’s best chicken burger. If it had to be pinned down to one thing, it’d be their simplicity – good chicken, after all, doesn’t need dressing up. Their ongoing pub residency at Dirty South is a culinary boon for Lewisham. Building their credentials from an old army ambulance in Shoreditch (where else? ), Mother Clucker are best known for their tea-brined and twice-fried chicken strips. 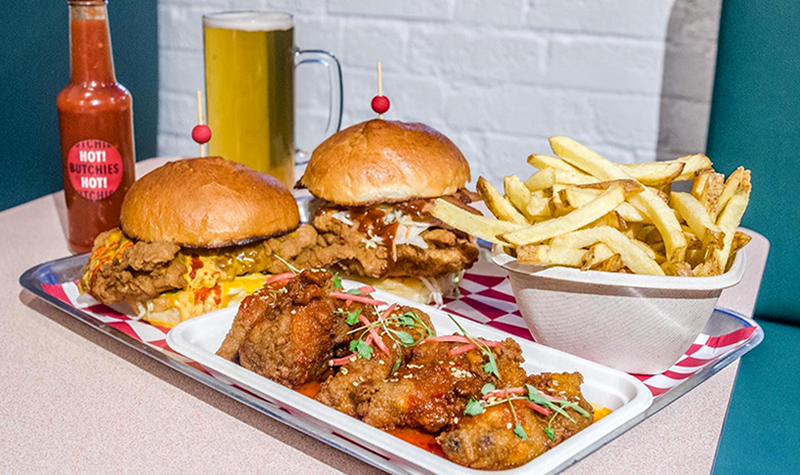 Earlier this year, their place as one of London’s top fried chicken purveyors was cemented with an opening of their first restaurant in Exmouth Market. 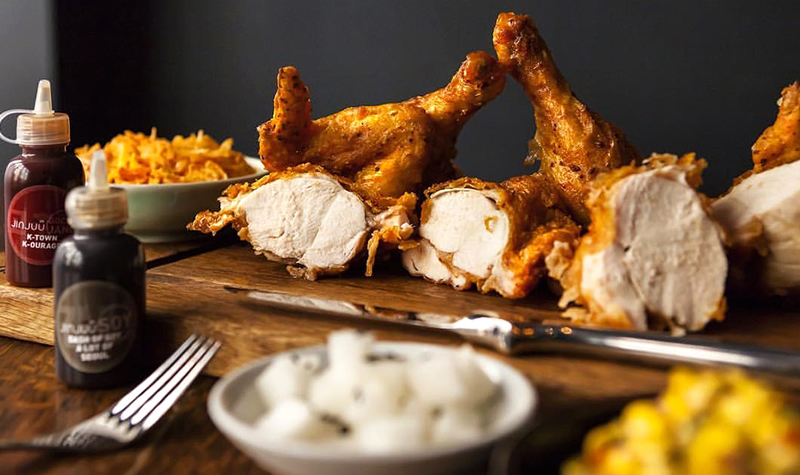 The Shoreditch fried chicken trend continues, this time from one of the US’ most notable culinary exports: Marcus Samuelsson. 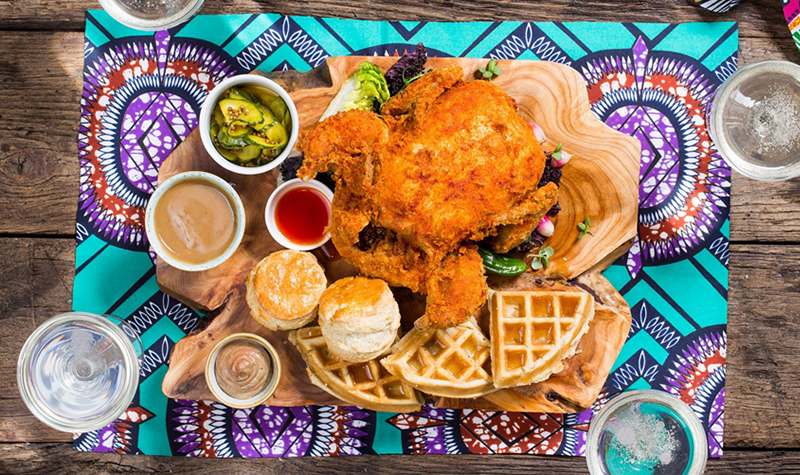 Go for the Harlem-style Sammy’s Chicken ‘N’ Waffle, or if you’ve got the space for it, a whole Fried Yard Bird. First and foremost, people come here for the ramen. And so they should – Tonkotsu is one of the best stops for it in town. But fried chicken is on the menu for a reason – hard as it is to imagine a visit to any ramen shop without an order of chicken karaage on the side. 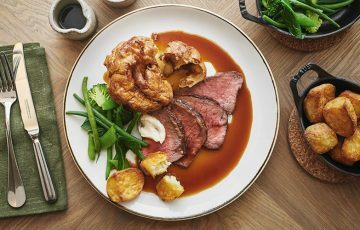 You can book a table at their Bankside and St James’s branches on OpenTable. 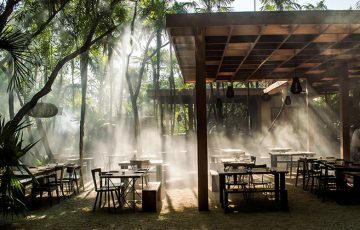 If a restaurant has its own Wikipedia page, it must be important. Indeed, many regard The Blues Kitchen to be London’s truest microcosm of America’s Deep South. 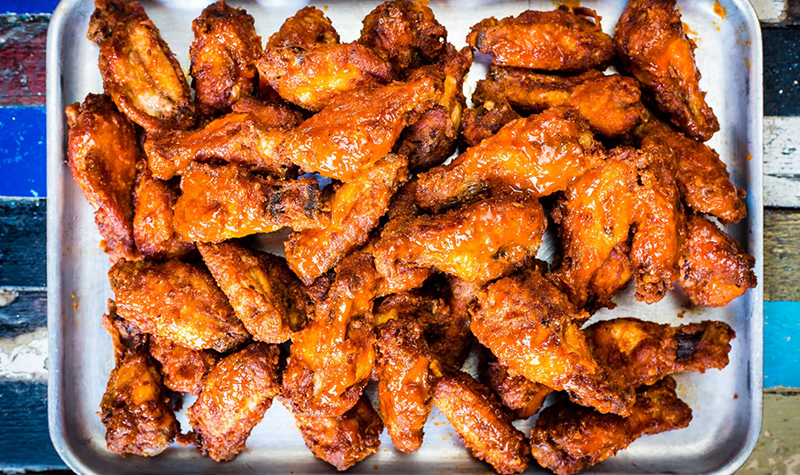 Expect live music, bourbon, and fried chicken aplenty, including free buffalo wings between 5 and 7pm every Friday (Shoreditch branch only). With the catering from Camden Market street food trader Club Mexicana, The Spread Eagle is London’s first fully vegan pub. Thankfully, the food is worthy of its status, and includes the Annato-glazed MFC (Mexican Fried ‘Chickn’) with mustard mayo and pickled cabbage. Can a Korean restaurant be seriously considered a Korean restaurant without proper fried chicken? Rest assured, Judy Joo’s Jinjuu has it en masse. Quite literally, if you go for the Tong Dak ­– a whole fried chicken with pickled daikon, sweetcorn salsa and green salad. Not a bad way to feed a family of four in one swoop. As of very recently, these European Street Food Award-winners have found a permanent home – or ‘wingery’ – at an ex-pub in Kilburn. There’s buffalo sauce fountains, a Friday and Saturday 2am license, and, as well as their signature dish, various wing-related riffs.